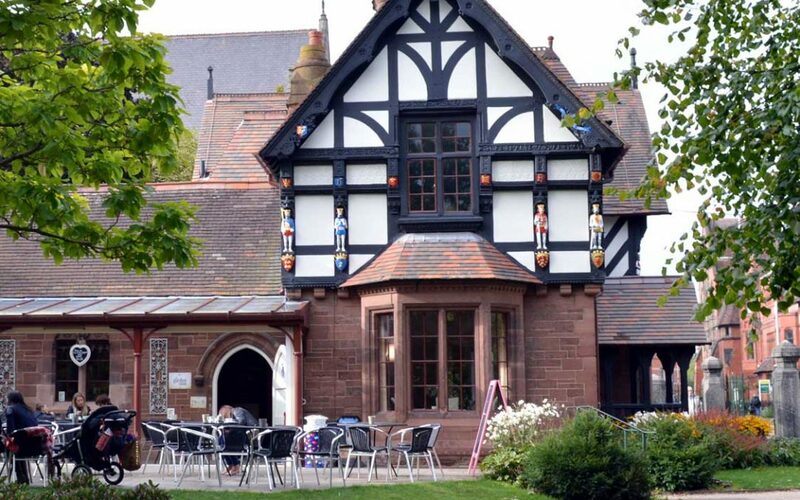 You’ll find a wide choice of restaurants, cafés and pubs in Chester and the surrounding area, some better than others. Here are the ones within walking distance of Baker’s Cottage that inspired our guests to comment. Independent deli and sandwich shop. “A great little eatery” Suan L from Falkirk, September 2018. “We enjoyed the theatrical cups of tea at the Alchemist” Michelle J from Cornwall, August 2018. The Architect restaurant was a good place for a meal” Carole B from Rushden, April 2018. Karen W recommended the Architect for meals, March 2017. Heather M also recommended the Architect and said it is “nice to walk to”, February 2017. 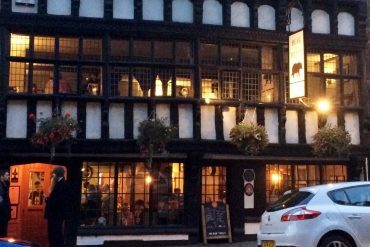 “We recommend the Architect pub/restaurant for good food and a beautiful building” Julie H from Hockley, November 2016. Recommended for brunch by Steve & Mim C from Newton Abbot, May 2018. 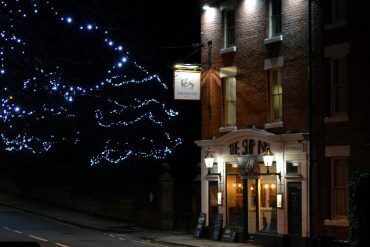 “The Bear and Billet pub serves lovely meals and not too far to walk from the cottage, lovely atmosphere.” Susan S from Stockton on Tees, September 2018. 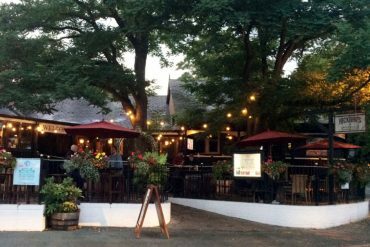 “We had meals at the Bear and Billet, lovely friendly atmosphere, food was very good” Kevin & Sharon B from Yateley, September 2018. Recommended for bar meals by Julie B from Cumbria, June 2018. A boutique wine bar and shop in a 13th century crypt offering wine tasting and light snacks. “Fabulous for drinks and nibbles” Karen W from Australia, October 2018. We like the light, tasty pancakes and modern decor at Crêpeaffaire. “We can recommend Hanky Panky Pancakes” Suan L from Falkirk, September 2018. “Amazing place” Beth S from Selby, July 2018. Recommended by Steve & Mim C from Newton Abbot, May 2018. La Fattoria is our favourite Italian and, not surprisingly, is often fully booked. On Fridays and Saturdays you can get a table if you’re prepared to eat earlier or later than usual, or book over the phone at least a week ahead. When our kids were little they loved watching the pizza chef spinning the pizza dough (best seen from a table near the front). Sometimes, if we’ve left it too late to book a table, we pick up pizzas to take away on our way back to Baker’s Cottage. Charlotte R from St Albans recommended La Fattoria as great value, October 2017. “We enjoyed two visits to La Fattoria, the food was lovely, also the staff” Mary B from Stockton-0n-Tees, November 2016. 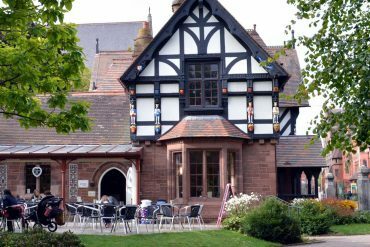 “The cafe lodge in the park was very good and interesting to see that they reinvest profits in local projects”. Helen O from York, February 2018. Recommended for lunch by Julie B from Cumbria, June 2018. 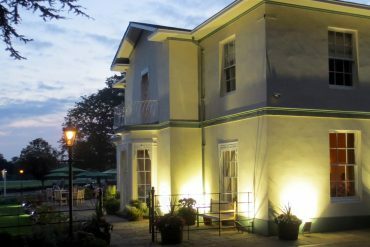 “Went to the Mad Hatters tea room, it was not very busy but had to wait nearly 30 minutes for a cup of tea, the staff were friendly though.” Kevin & Sharon B from Yateley, September 2018. “The Mad Hatter tea room was nice, great cup cakes.” Carole B from Rushden, April 2018. “Mansion House for a cool quiet tea and cake in the city centre, very ‘colonial'” Steve & Mim C from Newton Abbot, May 2018. Recommended by Hugh O from Kilmarnock, August 2018. “We stopped off at Oddfellows for some lunch and it was wonderfully quirky!” Kate S from Norfolk, November 2018. “We had a super meal in Piccolino’s in Pepper Street – wonderful” Christine J from Halstead, February 2018. 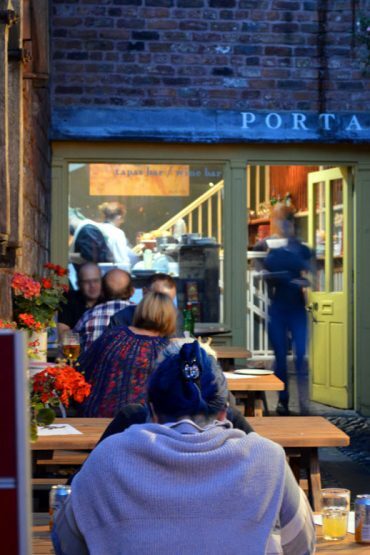 We like Porta for its relaxed simplicity, no bookings – just turn up for drinks and tapas. The courtyard under the city wall was a pleasant spot to cool down on a hot summers day. “Ristorante Sergio best for Italian food” Alison S from Market Rasen, August 2017. Also recommended by Hugh O from Kilmarnock, August 2018. Recommended by Julie B from Cumbria, June 2018. Recommended by Carsten K from Germany, May 2018. “For dinner we walked down to the Ship Inn on Handbridge and had a good meal with good service” Coral H from Australia, April 2017. “The Ship Inn was very nice” Janet G from Bolton, November 2016. “Our watering hole on the way back from the city was the Ship” Mary B from Stockton-0n-Tees, November 2016. “Great service, well priced and excellent food. We ate there more than once” Nicola B from Abelour, July 2016. 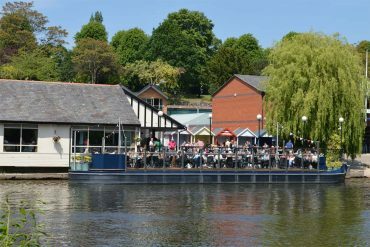 “We went to Twenty Two restaurant (on the city walls, just over the bridge) and it was excellent – really good food and lovely service – we felt really looked after, highly recommended.” Dido B from Ludlow, July 2016. “We can recommend Ye Olde Kings Head (Sunday roast lunch)” Suan L from Falkirk, September 2018. “We had a delicious meal in Ye Olde Kings Head it was also very good service” Lisa C from Cheltenham, June 2016. Pizza restaurant and bar recommended by Valerie B from Bromsgrove, April 2016. Where will a holiday in Chester take you?